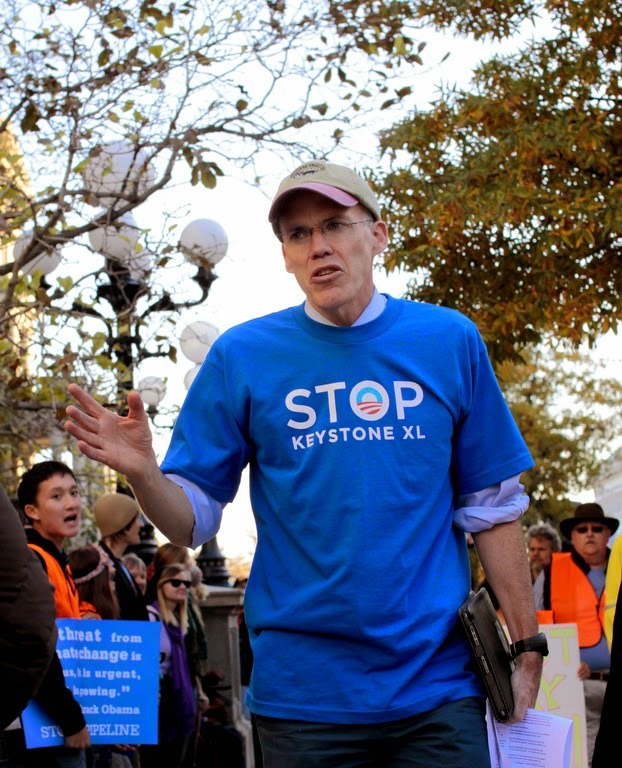 Bill McKibben during an anti Keystone XL rally in 2011. Photo credit: Emma Cassidy / tarsandsaction via Flickr. 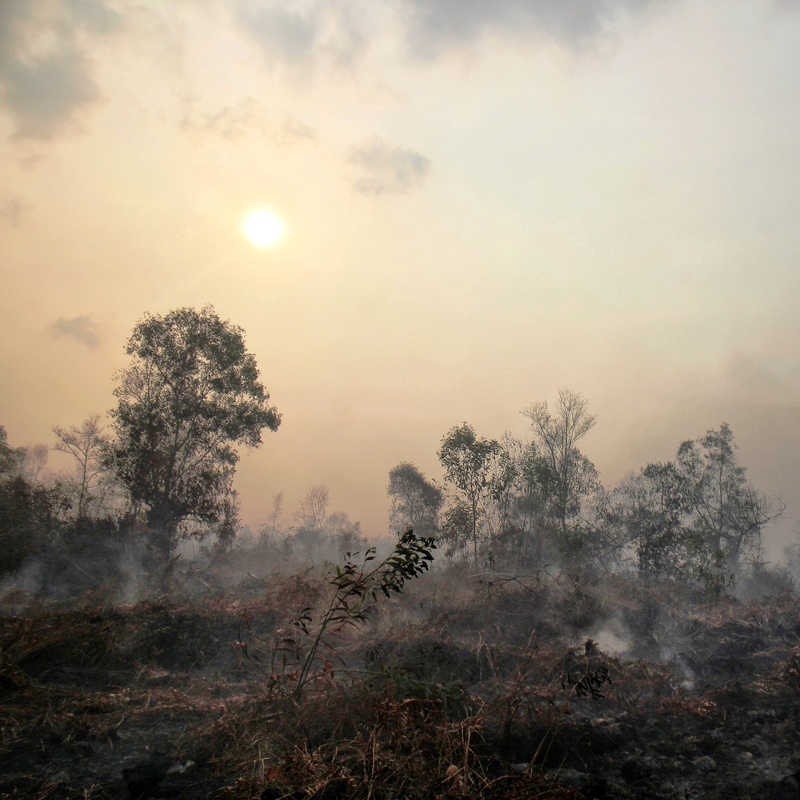 It has become the defining environmental battle in the US. And on Friday the Republicans fresh from the midterm elections victory voted on a bill directing the Obama Administration to approve the controversial Keystone XL pipeline project. It was comfortably passed. Today the bill will be voted on in the Senate and if approved it will land on Obama’s table where he will be expected to veto it. In the last week Obama has given the strongest signals yet that he is against the pipeline when he questioned how many jobs it would actually create and whether Americans would actually see any benefit of the extra oil. Advocates of the pipeline claim that it will create growth and thousands of jobs while making US more energy independent, whilst the opposition, such as former NASA scientist James Hansen and founder of 350.org Bill McKibben, claim it will be ‘game over for the climate’ if the pipeline were to be built. Opponents also say that it actually won’t create a lot of jobs, only 35 permanent jobs and Americans would not benefit from it as the oil it is transporting will be shipped to China and other Asian markets from Texas refineries. Below video released by the Sierra Club explains why they insist the pipeline is such a bad idea. The Senate vote will also show how much Democratic support Obama has for his environmental policies. The Democrats still control the Senate and will do so until January when it will be Republican controlled. If all Democrats vote against the bill, it will be defeated easily but it is expected close, meaning some Democrats will support the bill. One such Democrat is Mary Landrieu, who as a Keystone XL supporter, is expected to vote for the bill. Landrieu is currently locked in an election battle as her Louisiana seat was too close to call at the midterms election and she will face a runoff election against Republican Bill Cassidy on the 6th December. Cassidy sponsored the pro Keystone XL bill. While Obama has said he would use his veto power should the Senate approve the bill, it is clearly a risk that environmentalists do not want to take. Furthermore it could showcase cracks in the Democratic party. The Senate has narrowly defeated the bill with 59-41, just short of one vote to pass the legislation. The bill is dead for now. But Mitch McConnell has already warned that the Senate will pass the bill in January when he takes over as Majority Leader and the Republicans take control of both chambers of the Congress.